Having trouble managing or receiving your postal mails? No fuss, the Post Scan Mail can do it all at an amazing price you can’t resist. Now, you can receive your mails without visiting your postal box. 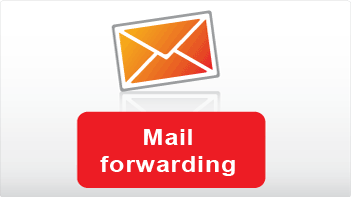 This is all possible with Post Scan Mail, a mail forwarding service provider. You no longer need to go through your mail box to find your important letters or documents. You only get the important ones thanks to their scanning procedure. Once you get registered with them, you can enjoy their services as long as you want. They offer a one-month free trial period, during which you can cancel or continue availing their services by paying a very less amount. Days are gone when we used to ask our friends to do the favor of checking our postal box for any important letter of document. In this advanced, high-tech world, we are getting addicted to technology and prefer doing everything online. That’s why we’re seeing a huge demand of mail forwarding service providers. The registration process is super simple as anyone with a little tech knowledge can comprehend the whole procedure. The team at Post Scan Mail is highly experienced and knows exactly how to bring you the best services. They allow you to receive your mails no matter where you are. Once you get registered, they will start receiving your letters. They will get you informed if find anything important. You can ask them to forward, open, scan or store your mail.